The Architecture Group is a design-focused practice specialising in high quality, innovative and environmentally responsible architecture. 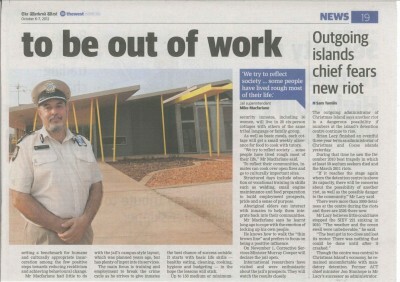 Our Indigenous prison project in WA’s Kimberley region is featured in today’s West Australian newspaper. The article presents new Superintendent Mike Macfarlane, of Aboriginal descent, “setting a benchmark for humane and culturally appropriate incarceration”. 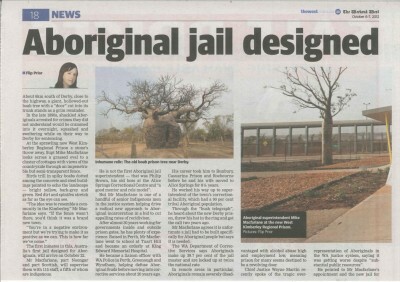 Designed in association with iredale pedersen hook architects, our recently completed prison project has set the benchmark for culturally appropriate Indigenous justice models, as the first of its kind in Australia. The prison is due to receive its first inmates in two weeks. Read the full article from The Weekend West. 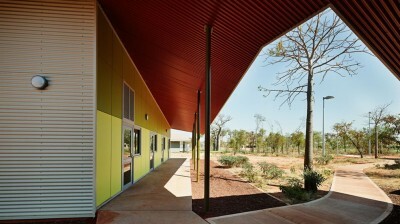 Click for more information and images of the West Kimberley Regional Prison.